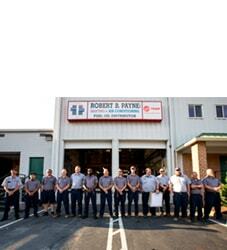 Best Air Conditioning & Heating Service Hartwood, VA | Robert B. Payne, Inc.
At Robert B. Payne, Inc. we train our technicians extensively to help your home and business with all air conditioning and heating needs. We are capable of troubleshooting even the most obscure of issues. Once we’ve discovered the problem, we move swiftly to provide a solution. That is why our air conditioning and heating service in Hartwood, VA, is so beloved by the community! Back in the day, Robert B. Payne, Inc. would sell coal, wood, and ice to meet your cooling and heating needs. Today, technology has advanced, but our commitment to exceptional service has not. We still focus on providing unbeatable service that satisfies the needs of the community. Your needs! Installation begins with a phone call. Once you’ve scheduled service, you may rest easy knowing the best technicians in the business are on the job. When we install a new HVAC system, we cut down on costly repairs, increase energy efficiency, and extend the lifespan of your system. Professional installation is as much about peace of mind as it is other key benefits! Basic maintenance can keep your system running smoothly for quite some time. 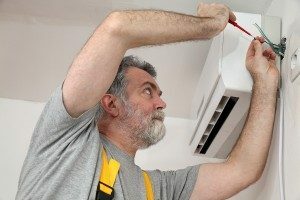 If you want to ensure your heating or air conditioning system is in top shape, you want Robert B. Payne, Inc. on the job. We routinely change the air filter on systems, clean the entire unit of debris and dust, and resolve troubling issues before they become costly, significant repairs. When something does go wrong, prompt repairs are within your grasp. 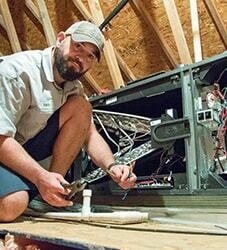 With one phone call, we’ll dispatch a technician to fix your system. Our crew are equipped with the right tools and materials to resolve any trouble. In fact, we can have your system up and running that very day! Schedule affordable air conditioning and heating service in Hartwood, VA. 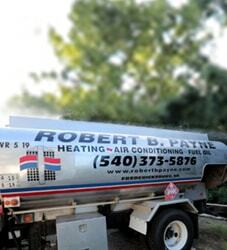 Call Robert B. Payne, Inc. at (540) 373-5876 today!